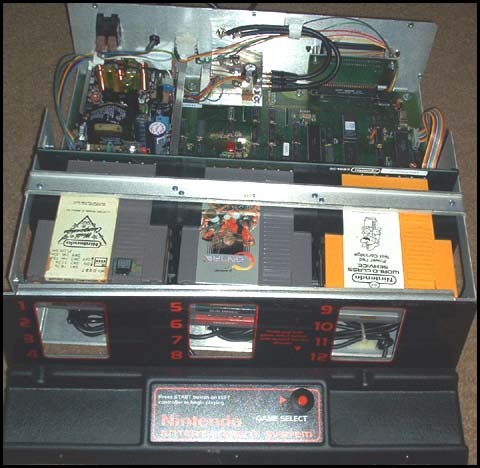 This system was used at stores to let people try out games for the 9-bit Nintendo System. Not too many of these systems are still around today. This system is in perfect working order. The only problem is that it is a European System so it does not work with NTSC games or on a NTSC TV. There is a jumper on the power supply so there is no problem getting the power to work. I have heard if you cut a certain chip you can play the NTSC games on it. Then all you would need is a converter to convert the PAL signal to NTSC so it can be used on American TVs.